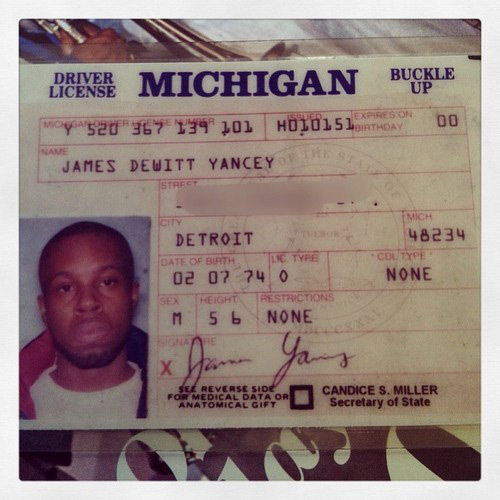 “Today is February 7th, 2013, which means it is the birthday of one of the greatest Hip Hop Producers of all time, James Yancey aka J Dilla. Today he would’ve been 39 years old. It is incredible that every month of February for the last 8 years that Dilla’s life & music is celebrated around the whole world. It is also bittersweet because he was taken from us in such an early age when it looked like he was really get ready to take the world by storm. I’ve been very lucky & blessed to be part of his close circle of friends when he moved to Los Angeles. Not only was he was a talented individual and one of the nicest & humble guy I ever met, he was also a private person…..you definitely don’t want to get on his nerves…LOL!! I know there’s a lot of Dilla Tribute mixes out there, and me personally, I don’t think there’s anyone that can out top a Dilla mix that was made by my fellow Beat Junkie & the 3rd Member of Jaylib, the Funky President himself, J.Rocc. The only one who can possible come close would our good friend, Houseshoes. I already made 2 mixes a few years ago, but I was inspired again to work on another one. I tried to finish the mix late last night but got real tired….I just finally finished this mix before the day was over. I definitely was trying not to repeat songs like I did on my previous Dilla mixes but sometimes you can’t help going back to his classic catalogue. Anyways, here’s my third installment of my “J Dilla Whatupdoe” mixes, a 30 minute vibe mix. Unfortunately, we also lost another Musical legend a few days ago….Mr. Donald Byrd, and i actually added the original “Think Twice” song to the mix as well as Dilla’s version, in paying homage to the legendary musician.